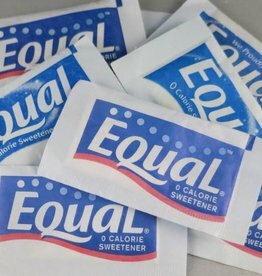 Equal Packets, 0 Calorie Sweetener 800ct. Box. 800 packets in great value pack! Great taste of Equal 0 calorie sweetener in a convenient easy-open drawer design. Perfect fit for any coffee/tea station.